Apologies for the long delay between posts – we were so busy this Christmas that even though we had taken on several extra staff, I was still relieved of my normal duties and spent most of the last six weeks of the year running around in our warehouse and showroom picking orders for dispatch. I hope you all had a great festive period and wish you all the best for 2009. Anyway, now that the horrible first week back at work is out of the way and most of the Christmas backlog is sorted, I can get back to a bit of blogging. One of my New Year’s resolutions is that I’m going to try and get something up on here at least once a week. It won’t necessarily be a big long post, maybe just a bit of news to stimulate discussion, but it should keep the blog ticking over. Most of you will probably have bought yourselves something nice for the holiday, so I thought I’d share my thoughts on my Christmas whisky purchases this year, and how they have forced me to rethink my strategy on what whiskies to get each month. I tend to buy for myself as most of my friends are a bit nervous about getting me whisky in case I don’t like it. This year, though, I managed to make the wrong decisions all by myself. I feel that I should confess here that, since I spend at least half of every month in a state approaching penury, I’m not really qualified for much discussion on buying top-end malts and the ins and outs of whisky investment. In the interests of fairness and proper disclosure, I should also point out that my impecuniousness is due entirely to my own profligacy rather than a meager wage packet. I’m fairly paid; it’s just that I have an active social life, expensive tastes and very little self-control. In other words, I’m terrible with money. 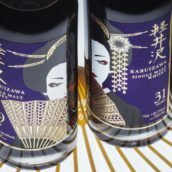 To this day, I have only ever paid three figures for a single bottle once, and that was just a few months ago – a bottle of Karuizawa 1971. 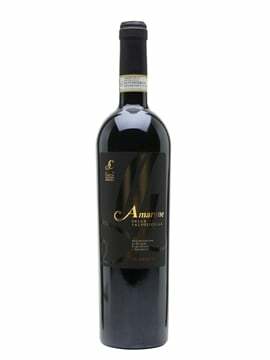 I’d already tasted it and I knew it was wonderful, but blowing more than a day’s pay on one bottle was a new experience for me. It felt good, but in a naughty way; I felt the frisson of an acceptable transgression. I haven’t opened it yet, but I may have to soon – it’s been showered with plaudits since I got it, and I’m worried that if I keep it too long it might get so valuable that I couldn’t drink it with a clear conscience. I’d make a terrible banker. This is why I have no savings. Now, I would guess that my average spend on a bottle of whisky is around £25-£35 (including my staff discount!). However, in this price range if one is buying new releases, one is always taking a risk. 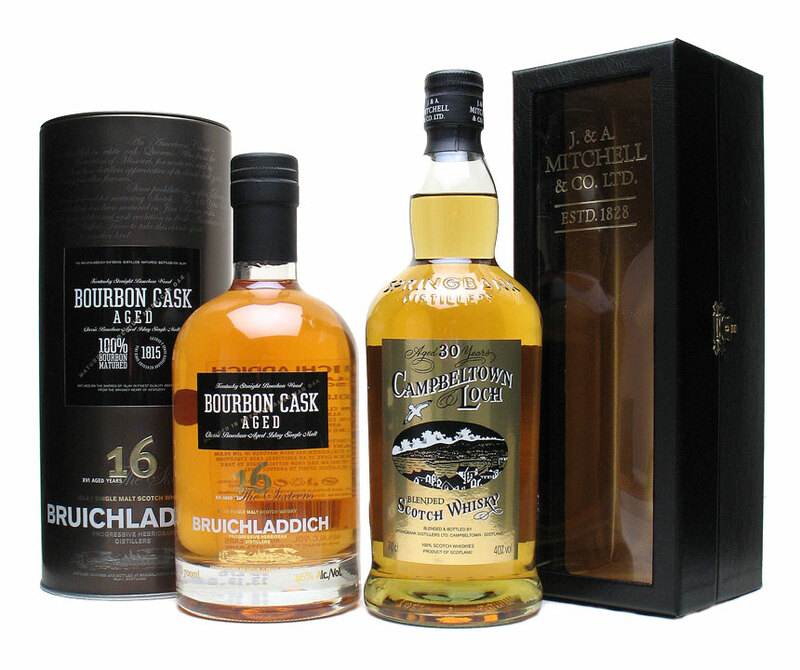 The last two bottles I’ve bought in this price range (Campbeltown Loch 30yo and the Bruichladdich Bourbon Cask 16yo) have been pretty disappointing. Neither were really bad whiskies, but they just weren’t as good as I wanted them to be. It’s not a disaster, as I will probably end up doing a bit of experimental blending with some of my other open bottles to pep them up a bit (see a very interesting discussion on this subject here), but it is a bit annoying. On the other hand, on the few occasions when I have spent more than my normal top limit (about £50), I’ve ended up with really tremendous malts, worth every penny. At the same time as I bought the ‘Laddie and the Campbeltown Loch, I also bought a single cask Yoichi 1987 at around £75 as a special Christmas pressie for myself (I never normally spend so much in one month, but I was due a healthy bit of overtime in December so I felt justified in indulging myself). It is fabulous. Now, I accept that this is the risk one takes when buying whisky without having already tasted it, but it is all rather galling: for the price of the first two whiskies mentioned above I could have had another really decent bottle, and it’s made me wonder if I’m perhaps sacrificing quality for quantity in my whisky collection. 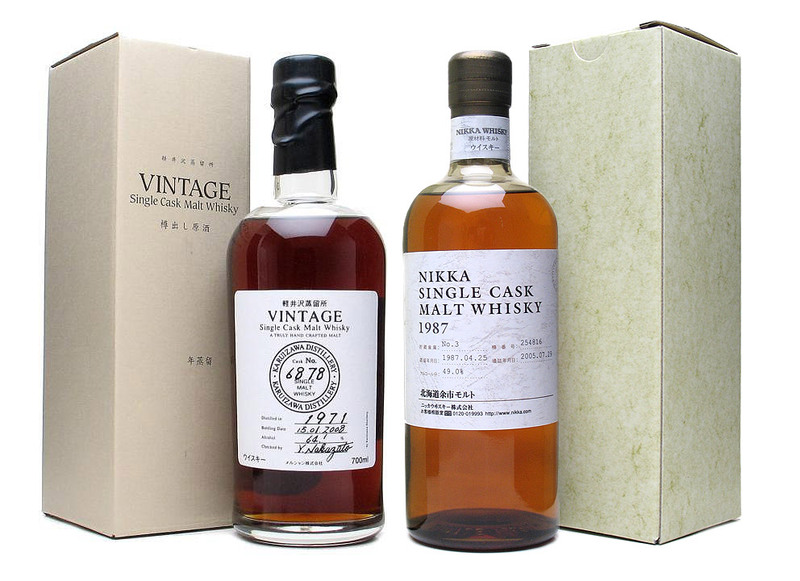 Certainly if I had the choice again, I’d swap both of the cheaper bottles for another bottle of that Yoichi in a heartbeat. It’s made me really think about how I spend my whisky budget in future. I don’t drink huge amounts of whisky at home, normally waiting until I have friends round; and I already have about 15 bottles open that need drinking up. 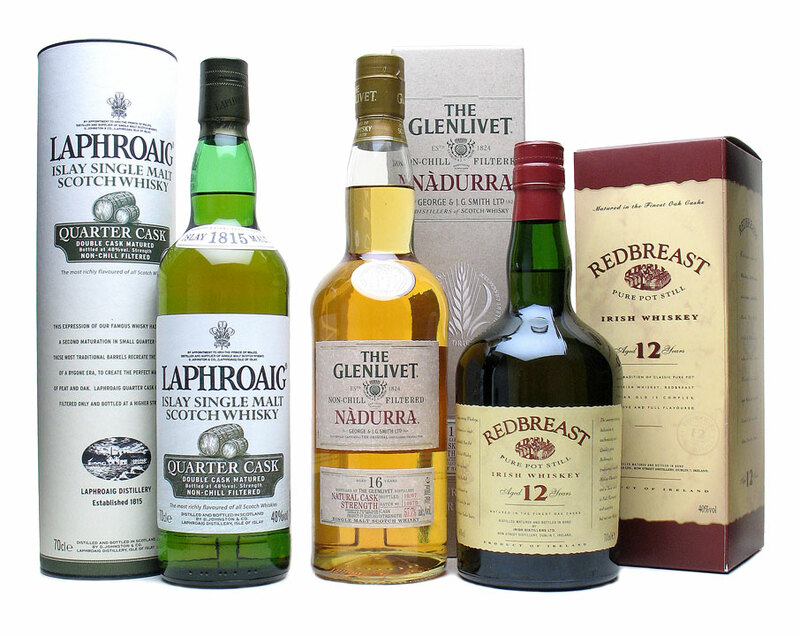 In these financially gloomy times, I’m going to experiment with a new policy of ‘House’ and ‘Guest’ drams. I have a few bottles in reserve of what I consider to be my ‘house’ whiskies; these are well-priced drams (not all of which are single malts) that won’t break the bank and which I would always enjoy at home without feeling guilty or selfish, but which I would also never be ashamed to give to guests. If anyone’s interested, my current house drams are Laphroaig Quarter Cask, Glenlivet Nadurra and Redbreast 12yo. I think I’ve got most bases covered with these three, and if I have a big night with friends it’s not the end of the world if one of them gets finished: they are affordable bottles and are frequently on offer somewhere if one looks hard enough. So, I have the house drams in place. Starting from this month, instead of buying two £25-40 malts to bulk out my collection, I will spend the money on just one ‘Guest’ bottle at around £50-£80. This way I will always have my house drams to fall back on, but still have something a bit special to offer to friends. Also, I should survive the recession without having to compromise on quality (or cut back on my consumption!). Does anyone else use this system, and if so, how are you finding it? What should I put in my underperforming purchases to liven them up? To my mind, there’s very few things that couldn’t be improved with the addition of a dram of Talisker 10yo (I include myself in this statement) and I have a nearly-full bottle open, so that’s probably my first experiment. Please feel free to share your malt-buying strategy or vatting experiments in the comments section below. I’ve also added a poll on the right hand side of the page: how much have you blown on a malt for drinking? Please note that this does not include drams that you thought were investments but then later decided to open! You have to have always intended to drink it – we’re only interested in deliberate, unashamed hedonism here, not foolish mistakes. First of all, I don’t invest in whisky. Everything I buy is to drink. I know it’s tempting to have an Ardbeg Feis Ile bottling and sell it a mere 6 months later for 4 times the price, but I always think that when you sell it, somebody else is drinking, what you should be drinking. I have seen my buying habits go from the “normal” bottles to the Independent Bottlers. 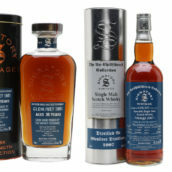 IB’s provide me with reasonably priced, special or rare whisky’s. Like your own 28 yo Bunnahabhain, which was a revelation. But also Raymond Armstrongs Bladnoch forum bottling of the Port Ellen 25 yo. in my opinion a crime against the whiskydrinker. But that’s another debate. When I see the prices, asked by the distilleries, or their corporate hq’s, it strikes me as silly, so when I’m looking for a nice bottle, I’m increasingly looking at IB’s for a good and not overpriced bottle. I hadn’t thought of this approach to building a stock but it makes a lot of sense. Too late for me as I have a large number already and I drink what’s open – plus friends (or just visitors) can choose whatever they want. But it seems a good principle. Try Laphroaig 10 in underperforming drams – just a splash! I can share the sentiments on the Campbeltown Loch 30 yo, which given the extreme quality of the 25 yo and the fact that this was the 25 yo+5 more years and (as it turned out) some more Girvan grain 30 yo (or more)…well, should have been a real belter. Which it was not, it was far lighter, less complex, but still a very good dram, certainly for a blend anyway (being more like a malt in its “pickability”). The Laphroaig QC and the Glenlivet Nadurra are good ones. Don’t care much for the Redbreast. But you seem to be a bit short on normal 40/43 percent stuff…? Might be making life a little difficult for some guests through that – as not everyone understands and wants water to be added. I personally try – nowadays more and more desperately – to limit my open bottles to four or five. But given that I’ve bottled a few casks and hold regular tastings, this is now impossible in practise. So I ditch the ones I don’t score at 85 or more into an interesting box in the basement. Some possible gems there for those with a different taste to mine! But my buying policy stretches out for the likely gems (see Campbeltown Loch 30 yo…) and most new things that appear interesting. So this autumn has been a heavy one. When I buy a bottle of whisky I prefer the younger, rawer bottle. Example, I much prefer the Laphroaig 10yo to the Laphroaig 30yo (or the 25 for that matter). So I tend to always buy the “basic” dram. It saves me money and I prefer the taste. The one exception to this “younger is better” rule is the Bowmore 1964 Oloroso that I was privileged to taste last summer. 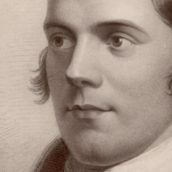 That is truly an exceptional dram and I would love to save to buy a bottle, but as you said in your blog, it is hard enough to spend a days wage on a bottle let alone a month or two’s wage! So I think that will remain a dream. As for blending, I tried a rather crazy blend a few years ago, Glenfiddich’s Distillery Edition, Solero and Coaran, Balvenie Double Wood and Pendyrn 8yo all mixed in even quantities and it worked very well. Good luck with your blending and let us know what you try and how it was! I’ve got loads of bottles which have had two fingers left for months now, i’ve been wondering as to whether to create the odd blend, but wouldn’t know where to start. But i guess thats another question. My buying habits changed marginally on my last trip to Islay, (a while ago now baring in mind Laddie 15 and 17 was still around). I always had the 10s and 12s as my drinking everyday malts. But while in the PC hotel i spoiled myself on 15’s and 18’s and found these on the whole to be less sharp than their younger cousins so on returning home i bought the likes of the Laddie 17 and HP 18, which have both been my main staple since. One other change i’ve made is buying miniatures, i never bought them, but while at Uni i couldn’ afford 70cl bottles so mini’s it was. This really opened up my views and i tried all i could from Glen Dev to Glenrothes, even spoiling myself with a HP 30. I still do it to make sure i don’t get left with a bottle i dislike. All i have to do now is to watch it when i go supermarket shopping all those Tali etc with huge reductions is really tempting. But i’d love a Tali 18. Tim, happy new-year (if it’s not too late to say that!). Your new-year buying strategy is very similar, in fact almost identical, to mine – I’m going for quality over quantity and have set a budget of £40-60 monthly (so £600 for the year), with the intention of buying one quality bottle. I have enough standard release, and similar, whiskies in the queue as back-up, which has led me to adopt this new buying strategy. As such, my plans are to buy smarter and more carefully in 2009, with the knowledge that circa £50 can buy a very good whisky and I need not spend more. 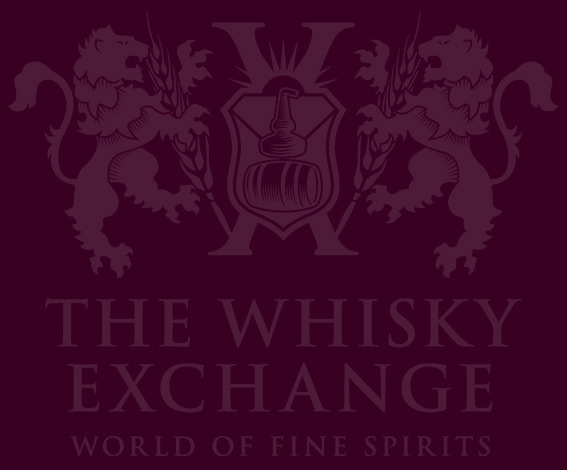 My thoughts are that I’ll need to look towards single cask expressions from the independent bottlers. On home-vatting – my best results have been with younger (NAS) islay peat monsters. I had a bottle of Signatory Vintage 5yo CS Islay (rumoured to be Caol Ila, picked up cheaply via travel retail) which I found harsh and difficult to finish the 70cl – so I tipped the remaining 20cl into a 35cl bottle and added about 10cl of Laphroaig QC and 5cl of Ardbeg Uigeadail and ‘Bob’s your uncle’. I now top it up with remnants from similar bottles and as such have a living vatting. Another good experiment has been to add a few drops of Pedro Ximenez sherry (I picked up a half-bottle of 30yo Gonzalez Byass inexpensively from Sainsburys) ratehr than water to another cask strength pale (ex-bourbon cask) peated beast to give it a bit of a sherry twist. Nice! Gentlemen, Thank You all for your comments, there are some brilliant ideas in there. bgulien – IBs are a subject very close to my heart- I’ve already written a very long piece about them that needs a lot of tidying up and will probably still have to be split into two parts for the blog. Very glad you liked the Bunna 28, I adored it – in fact, the very last bottle is residing on my desk right now, waiting for me to pay for it and take it home. My first bottle lasted barely a fortnight. C57 – The Laphroaig sounds like a good suggestion, I might add a few drops of QC to the Campbeltown Loch, along with a spot of a’bunadh and see how that turns out. Par – A fair point re: not having much 40/43%. I noticed this myself: almost everything I have open is CS. Although the Redbreast is 40% I might struggle to find a low strength alternative for someone who didn’t like it. The Campbeltown Loch was meant to address this gap, but it didn’t work out. Hopefully when I’ve tweaked it the problem will be solved. 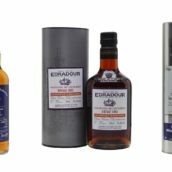 Kevin – Many entry-level malts are fantastic drams but most, if not all, distilleries are subject to the law of diminishing returns as you go up the price scale. There’s nothing worse than spending a lot of money on something only to find that you preferred the cheaper version. Minis are a good way of trying a lot of different things, but you can’t get minis of most indie bottlings, more’s the pity. They are terrible value as well, of course, but it’s arguable that they could save you a lot of money if you discover you don’t fancy something you might otherwise have shelled out for. Talisker 18 is great, by the way. By the way, Par – where is your house? I’m going to break into your basement. That barrel idea is a great one. I think I might invest in a barrel myself. Does anyone know of anywhere I can get one (cheap is good)? Get your hands on any half decent teenage bourbon matured full-strength Craigellachie or similar style malt and add a tiny drizzle of good quality PX sherry to the glass. 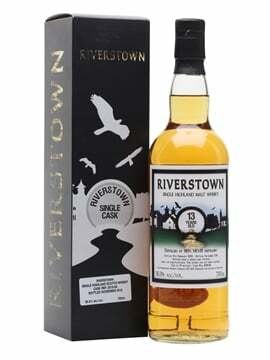 The dram should instantly be transformed into something that tastes like a medium peated well aged refill sherry malt. At least this is how I remember this experiment, it was performed amidst much late night ‘research’. Tried adding some Talisker 10 to the Campbeltown Loch last night. Probably about 25% Tally to 75% CL. In the shop the other day I tried adding a single drop of the elements Caol Ila to a wee dram of the new Dewar Ratray 33yo Glenkinchie (a stunning dram in its own right) the results were good if a little unusual. Right, the Campbeltown Loch problem is officially sorted – about 5-10% Laphroaig QC has sorted that right out!! In fact it tastes effing brilliant…More please!! Still good with a dribble of water! Will be transplanting that QC very soon into the CL bottle (soon to be known as the Living Bottle!!). I liked the Bruichladdich 16yo, to me it tasted exactly like good Bruichladdich should. Although I did think it was the height of comedy that they tried to market it as some radical new cask initiative, “Hey guys look at this, a whisky thats matured only in bourbon, RADICAL!” Hmmmmm…. To be fair, Angus, it really IS pretty radical for Bruichladdich to bottle anything without [email protected] around with it first. I am prepared to give the 16yo another go. I think I was just disappointed that it suffered by comparison to the terrific Berry Bros bottling from last year. That was what natural Bruichladdich is all about, to my mind. Just bought a bottle BruichLaddich 1998 Bourbon Matured Special Bottling. No fiddling with it. I think it was the Jura crew who distilled the whisky. Bottled in 2008, so a 10 yo. It tastes pretty good. Mailed Mark Reynier about it, because I couldn’t get any info on the bottle. It seems to be a limited run of 60 case, 50 cases for a Canadian retail chain, and 10 to be sold elsewhere. Luckily the 10 cases ended up in Holland. Never had the 16yo so I can’t compare. Is it more peated than normal, bgulien? I heard that the stuff the Jura team did was at 38ppm. What did you think of the official 1998s (the Fino / Oloroso that came out in the summer) if you tried them? Hardly peated, but very nice bourbon taste. Almost pure and very elegant. Yes, I tasted the other “Jura” whiskies. I have the Oloroso and I think it’s pretty good. Could they have had more peatlevels at their disposal, back in 1998? Anyway, I like it a lot and the store had 2 more on the shelves. So a quick shopping spree at the end of the week. Just bought the Ardbeg Supernova out of the Ardbeg shop. Just on time, it’s already gone now, I think. The add to basket icon is already gone, so 2400 bottles in 3 hours…The Ardbeg craze is in full swing. I wonder what the retail Supernova will be like? Less % abv I guess. Supernova merits a blog of its own, bgulien. I’ll post something shortly. 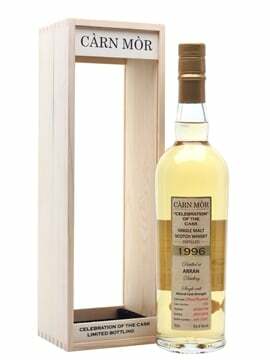 Re the ‘laddie – Surprised it’s not so peaty as Andrew Jefford in Peat, Smoke & Spirit reports that the Jura guys used 38ppm while they were on their busman’s holiday in 1998. Tim, I couldn’t find a reference in de Jefford book. Have to look more closely. I have the dram right in front of me. It’s certainly not a 38ppm. If the barley is 38 ppm, what are you left with after maturing? Would that be as low as 10-15 ppm? That could be right, I guess. bgulien, it’s on page 175 of the paperback edition (what a geek I am). Nerdy me! If barley is peated to 38ppm then it works out in the spirit at around 15-20ppm (depending on production variables such a milling) and after 10 years around 5-10 ppm in the glass. People talk a lot about the flavor of peat in terms of ppm but this is missing the point slightly. The actual flavor of a finished whisky is not just about the chemical levels of phenol in the glass so much as about how these flavors are developed and moulded in production. Ardbeg for example is more heavily peated than Laphroaig yet the peat and medicine characters are more dominant in Laphroag. This is because Ardbeg uses larger stills and a purifier, Laphroaig’s stills are smaller and squatter, thereby encouraging a greater concentration of heavier, oilier compounds in the spirit. By contrast Octomore, the most heavily peated of all, doesn’t quite have the gutsiness of the the three southerners. This is because Bruichladdich’s swan neck style stills provide a great deal of reflux and therefore the phenols come through in a very different way. I was led to believe that the Jura team did do a run of spirit at 38ppm in 1998 however it is perfectly feasible that they also did lower peated runs. The 1998s released recently were definitely not the products of 38ppm stock. I’m pretty sure that the 38ppm stuff does exist and was used in the mix for the Infinity bottlings. Anyway I quite liked some of the recent 1998 stuff. Tour guide mode off. I just got in trouble from my girlfriend for writing a boring whisky lecture and ignoring her. Dedication. Thanks Angus, tell your girlfriend, that the lecture was quite educational and not the least boring. The 1998 Bourbon Bruichladdich is a very nice whisky, light, elegant, with lot’s of floral and fruity tones. There was some “peat” but less then, say the Ardbeg Blasda. There’s 2 bottles left in the store and will get them both, immediately. Tim, if still not convinced, I can send a small sample. Your g/f probably did have a point though at three in the morning, Angus :). Your dedication is much appreciated as always. bgulien, many thanks for the kind offer, a sample would be great. Then I could do a head to head tasting for the blog of ‘natural’ Bruichladdichs with the OB 16yo and the BBR 1988 bottling. Yummy. Tim, you can see my email address, I guess. Send an email with your details. I’m sure you will like it. Done, bgulien. In return I will send you some of the Bruichladdich 16 and then you can compare them as well. Well, it’s in Gothenburg, the western pearl of Sweden…and you’re welcome to visit! The mini cask idea has been taken care of. But when doing that, it is really not a good idea to just dump whatever old whisky into the cask, as such a vatting can quickly loose all sorts of heading and character. Works very well with an assortment of similar whiskies, say three to five. And occasionally, with far more than that, but the more you add without much thought, the less likely the outcome is brilliant. Save, I believe, where you’ve got one dominant whisky as a base, say at around half the volume or more. Got my casks from a French cooperage at around £ 45 a piece. Extremely good oak. About 50-50 measure of Bunnahabhain Darach Ur and Talisker 12yo (FOTCM edition). Firstly, the Durach Ur is quite similar to the 12yo except a little more fruity and the Talisker was a big let down. Palate – wow! Its just like the Talisker 1993 DE crossed with the Auchetson Triple Wood. No smoke, very sweet and dry. I would be very interested in the Ardbeg experiment. I have a bit of Blasda and a bit of Corryvreckan left. Keep us informed! I mixed the Ardbeg’s last night. I tried a 50-50 mix to begin with but the Corryveken taste simply overwhelmed the Blasda so much I could hardly taste any difference (although it was noticeably smoother). Tonight I will try adding just a drop of the corryvekken to the Blasda and see if that does anything. And to all the Blasda haters, I must admit I like it! Its got the typical Ardbeg taste but without the huge peat influx you get with the 10yo (but I might be a bit biased as I was at the world premier of the drink in Oslo). I liked the Blasda as well, but the price was too high. Was terrific in the GBP 25 -30 price range. Still have a bit and earmarked it for a sunny summer day. Will try the Blasvreckan as well tonight.